After the huge success of the first part of their Super World Tour last autumn, the Pet Shop Boys have just announced a concert date for Ireland. Following sold-out concerts in the USA, Canada, Germany, Holland and Denmark, the band have confirmed they will play a concert date at the Bord Gais Energy Theatre, Dublin on Tuesday 5th September, 2017. Tickets priced from €59.50 including booking fee will go on sale this Friday 31st March at 9.00am from Ticketmaster outlets nationwide. The band will play songs from their entire career as well as from their current album Super. The Super tour was staged by long-term Pet Shop Boys designer Es Devlin and choreographer Lynne Page and the live arrangements were created together with Stuart Price, who produced the Super album. When the show was premiered last summer in a sold-out season at the Royal Opera House in London, it was described by The Independent newspaper as “a vivid, laser-laden spectacular” while The Daily Telegraph raved that “the show encompasses high culture, club culture, theatre, cinema, political satire and a mind-bending laser show”. For over 25 years the Pet Shop Boys have been regarded as innovators of the modern live music show, incorporating multimedia and theatrical elements into their productions and they have worked with Derek Jarman, Zaha Hadid and Sam Taylor-Johnson. Super entered at number 3 in the U.K. album charts making it their sixteenth Top 10 album in the U.K. 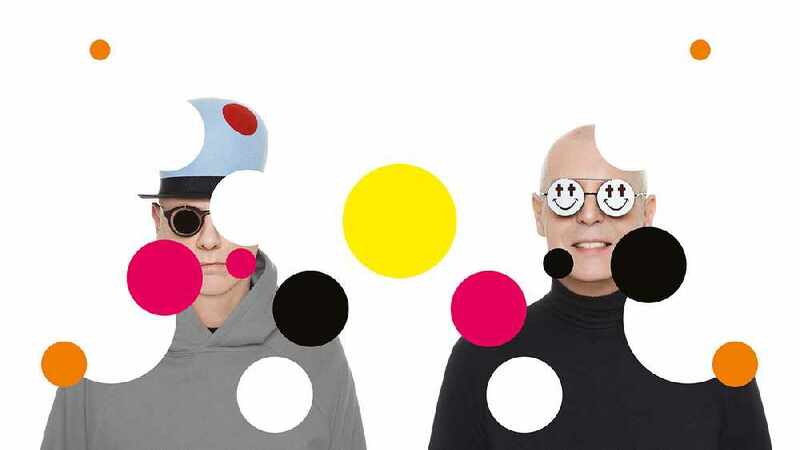 The first single ‘The Pop Kids’ reached # 1 of Billboard’s U.S. Dance Club Charts in which Pet Shop Boys are the most successful duo and male artists ever. Pet Shop Boys (Neil Tennant and Chris Lowe) are the most successful duo in UK music history. Since signing to Parlophone Records in 1985, they have achieved 42 Top 30 singles in the UK including 22 Top 10 hits and four number ones. They have released 13 studio albums all of which have made the UK Top 10 as well as album charts around the world. As writers, producers and remixers, Tennant and Lowe have collaborated, remixed or written for a wide range of artists including Dusty Springfield, Lady Gaga, Liza Minnelli, Madonna, David Bowie, Yoko Ono, The Killers and Girls Aloud.